• A 2001 Chevy S-10 was reported stolen after it was recovered by the Clinton County Sheriff’s Office at 11:49 a.m. on Jan. 25 at the 300 block of Columbus Street. A 19-year-old male is listed as a suspect. • Police responded to the 400 block of North South Street at 12:02 p.m. on Jan. 23 for a reported breaking and entering. Police made contact with a 23-year-old Medway male who was there working on the house. The house being renovated is owned by a 37-year-old male. The Medway male advised that he was last on the job site Sunday night (Jan. 20) and when he returned to the job site, he found multiple tools missing that belonged to both him and the property owner. Police advised that all three doors to the house were locked on Sunday, and there were all still locked when they got there. He said there was one window that was not locked, but it had not been disturbed. There was no damage done to any doors. He advised that he has no idea how the suspect gained entry. He advised that he had tools in multiple rooms that were stolen. The tools include drills, saws, nail guns, and other miscellaneous tools. Police photographed the residence and looked for possible evidence, but didn’t locate any. • At 1:01 a.m. on Jan. 24, a 36-year-old female was charged in relation to a reported overdose on South Mulberry Street. • A 43-year-old New Vienna female was issued a court summonsed for a theft charge for a shoplifting incident on Progress Way at 9:38 p.m. on Jan. 24. • At 10:40 a.m. on Jan. 25, police received a report of several campers on Grant Street where several items are stolen. • At 1:29 p.m. on Jan. 25, a 38-year-old Clarksville female reported someone broke into her vehicle on South Wall Street while impounded by the Sheriff’s Office. According to the report, approximately $100 in clothing items, around 25 video games, and a shoe box container the victim’s late grandmother’s jewelry were stolen. • At 7:44 p.m. on Jan. 26, a 20-year-old male was arrested for allegedly driving under the influence and speeding. 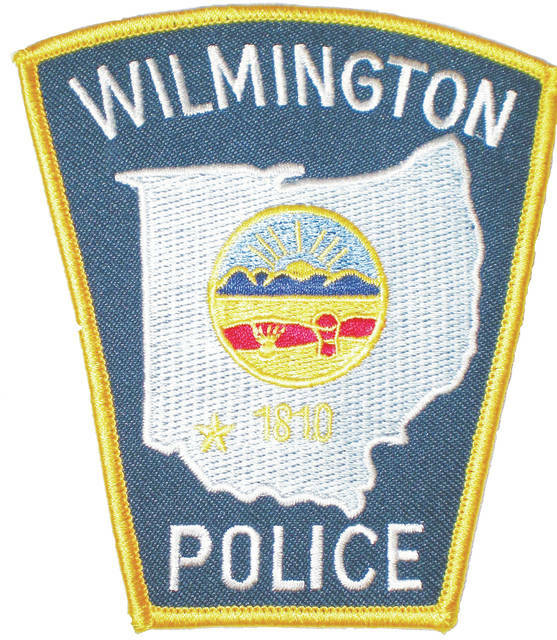 Court summonses were issued to three other 20-year-olds — from Wilmington, New Vienna, and Sabina — for alleged underage consumption of alcohol. The incident took place on Davids Drive. • At 6:33 p.m. on Jan. 22, police were dispatched to Rombach Avenue and Progress Way for a two-person accident. Police spoke to two Sabina females — ages 20 and 58. The 20-year-old stated she was northbound on Progress Way approaching a red light at Rombach Ave. The 58-year-old was eastbound on Rombach. The 20-year-old said she has a pre-seizure condition, “blacked out for a second,” entered the intersection and hit the 58-year-old’s vehicle. The 20-year-old stated she was fine and did not need a squad. The 58-year-old-year was transported to Clinton Memorial Hospital for an apparently injured finger. • At 6:37 p.m. on Jan. 27, a 56-year-old female reported a primitive white bench was stolen the 300 block of West Sugartree Street. • At 8:34 p.m. on Jan. 27, a 42-year-old male reported a pack of cigarettes and Tramadol were stolen from his residence on South Mulberry Street. • At 9:27 p.m. on Jan. 27, an LG G5 phone was reported stolen from a store on Progress Way.